Dogwood volunteers are making a real difference in this referendum. And you can too. Right now, all over the province, there are over three hundred Dogwood volunteers working towards a stronger democracy and a better B.C. These people have been working hard to make sure voters cast their ballots for proportional representation. 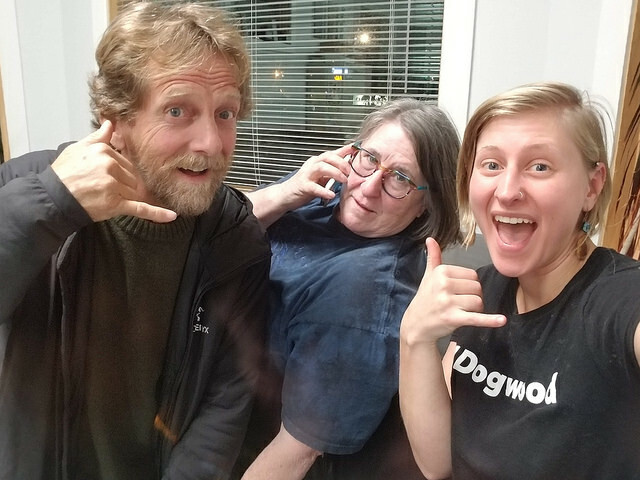 Some of the volunteers are doing what Dogwood does best during elections, phoning and texting voters across British Columbia to make sure they get their ballots in the mail. But during the Pro Rep referendum, we also tried something different: relational voting. It’s a new concept to describe a tried-and-true ‘get out the vote’ strategy. Volunteers are talking to their friends and family members about voting for Pro Rep. And they are having incredible conversations. Whether it’s through phone banks or the relational voting program, we wanted to celebrate the work our volunteers are doing and share some of their inspiring stories. 13 year old Mya phones voters with her grandmother Anne. Mya K. is 13 years old. But don’t let her age fool you — she is very dedicated to improving our democracy and has been involved in work to do so for a while. 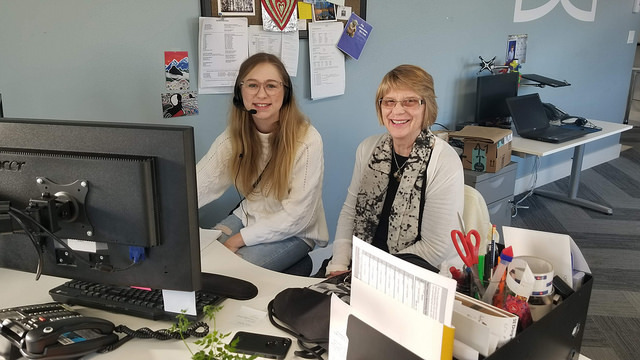 Her grandmother Anne introduced her to politics at a young age and now they volunteer on Dogwood’s Pro Rep campaign together. Mya originally signed up to talk to her friends and family about voting for Pro Rep. She helped her father’s co-workers vote by explaining why she cares about the issue. But her work doesn’t end there. Mya has also been volunteering by calling British Columbians across the province phone banking with Dogwood in Victoria. And when she found out her class would not otherwise be discussing electoral reform, she gave a presentation at school to other future voters. Noal B. joined Dogwood’s UVic club at the start of this semester. He wanted to get together with like-minded individuals and try to make progress on political issues and the Dogwood club seemed like the place to be. On campus, Dogwood volunteers have been talking to their fellow students about voting. They set up a table with information about the referendum and a laptop for students to make sure they were registered. Chris Hilliar is a retired Fisheries biologist who joined Dogwood’s relational voting program to recruit his friends and family. His friends and family members in turn started talking to their own networks about voting for Pro Rep. A big fan of Pro Rep and a believer in relational voting, Chris also published a piece in local online newspaper Decaf Nation. Tyler is a local bartender in Victoria B.C. He’s a new volunteer to Dogwood, joining us to help win the referendum on Pro Rep, or as he likes to call it “Prop Rep.” No matter what he calls it, he’s pretty good at talking about proportional representation to other voters. With in his first week of volunteering with Dogwood, he’d already helped seven people decide to vote. Warren calling people around the province. Warren is a long time supporter of Dogwood but the Pro Rep campaign was his first time joining as an in-person volunteer. As a veteran activist — chipping his teeth on Vietnam War protests in the 70s and currently working as a youth councillor — he is totally comfortable having hard conversations about topics that really matter. He proved that on the telephones at our phone bank when he helped several people who were on the fence about Pro Rep — and one who was thinking about voting for First Past the Post. His secret: listening to voters’ concerns. Andrew Skipsey is the youngest person to attend a meeting with Dogwood’s Parksville-Qualicum team. What attracted him to volunteer on Dogwood’s Pro Rep campaign? 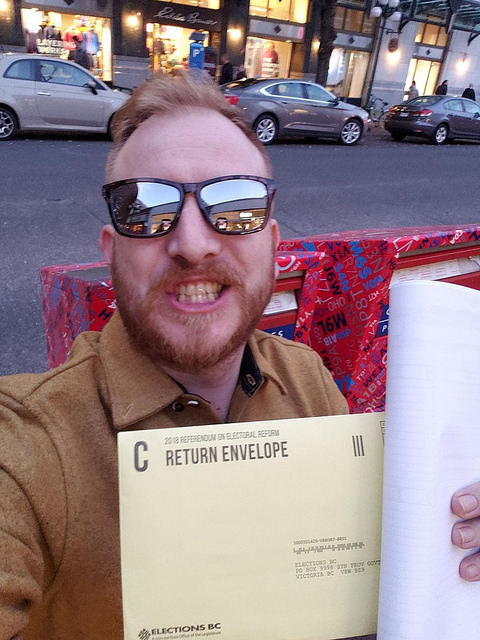 Andrew wants to see governments elected that represent the people who voted for them. He started reaching out at home, making sure his brother Joe voted yes to Pro Rep. Andrew is also a regular contributor of tips and knowledge to Dogwood’s volunteer Facebook group. Jennifer Hilland has spent a lot of time on Facebook lately. From her home in Vancouver, she went through her whole friends list and sent a personal message to every single British Columbian. Her efforts have resulted in 50 unlikely voters sending in their ballots! She’s topping Dogwood’s relational voting leaderboard — putting Dogwood’s seasoned staff organizers in their places! Salome Waters is a long time Dogwood volunteer from Victoria. She occupies one of the top spots on Dogwood’s Pro Rep volunteer leaderboard, convincing fourteen people to mail in their ballots for Pro Rep. But her work hasn’t ended there. She went out to Royal Oak Mall with fellow Dogwood volunteer, Joanne, to talk to people about Pro Rep. They estimate they talked to 100 people last weekend alone! Thanks for putting a human face on the organization. You all do good work. Well done. I hope we win the vote this time, but we will eventually. Thanks for the inspiration folks. I am cheering you on! Keep up the good work.